If you are lost in tons of information, code examples and other hard to understand stuff, this article will guide you what schema.org and structured data are about. Google and other search engines intend to give people immediate and possibly the best matching answers for their search queries. And your website should be the answer. That’s basically what structured data is all about. By implementing it, you help search engines to better understand your website content. Structured data is a piece of information about content of the website in a standardized format such as JSON-LD, Microdata or RDFa. The most conventional and recommended format is the JSON-LD. The JSON-LD keeps your code clean and readable. On top of that, in JSON-LD format you can clearly see what’s in the data. That’s because it’s isolated from other content and HTML markup. Schema.org is a bible when it comes to the structured data markup. It standardizes the way of using it and comes with usage examples. However, I often find it vague because of some definitions. Naturally, there are more perspectives on this. Thank you, Stack Overflow and other forums! …that Google introduced rich snippets a long time ago? It was in May 2009. In June 2012 an initiative came from Google, Bing, and Yahoo as a resource for web masters when writing markup for structured data. This is now known as schema.org. Rich snippets – How does it work? 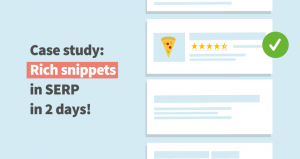 You probably know what are rich snippets – the SERP snippets on steroids. Everyone loves them. They’re a key to higher CTR and they boost organic traffic. When saying you can achieve, I mean implementing structured data won’t instantly lead to rich snippets in SERP. It tells the search engine what content is on the website. Then, the search engine considers whether it’s good enough to be featured. Google takes into account variables such as search history, location and many others. Featured snippet is a direct answer to user question. It is displayed as “position zero”, above the search results. There is no special markup for it. It’s generated programmatically from what a visitor sees on your web page. Check these recommendations to improve your chances to be featured. Our experience, at mangools, with featured snippets is great so far. Are there any potential downsides of rich snippets? If users find everything they need to know in a rich snippet, then they don’t need to click and visit the website. On the other hand, if they find let’s say a phone number in the snippet and then directly call you, it doesn’t matter anymore whether they land on your website or not. We live in a reign of omni-channel solutions. Who and how can benefit from rich snippets? Bloggers and reviews publishers benefit primarily from the “star rating”. It gives more prominence to your snippet and credibility to the content itself. In this case, I would recommend to mark up a single blog post and a blog archive page. It should include information about the author as well. Take a look at the article type markup and guidelines for detailed instructions. If you run an e-commerce site, you can mark up prices, reviews, and the most eye-catching image. I don’t have any experience with this kind of snippet, however, I would say it’s not so easy to get there. Again, mark up a single product and a product listing. Adding contact information of your store is a good idea too. You can put everything about your business in a few lines of code and you’ll get a snippet with a photo, address, directions, business hours, listing category, phone number, or website link. Moreover, users can make instant reservations from SERP thanks to the snippet. And that’s exactly what you aim for. 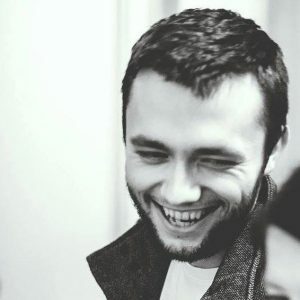 I think it’s great for local SEO. Check out the markup for local businesses. Plenty of other rich snippet types exist. Such as nearby events, films currently playing in a cinema, discography overviews, recipes, videos, … you name it. How to implement structured data? If you want something more specific, you can write your own function e.g. in WordPress as I did. As mentioned before, most recommended format for structured data is JSON-LD. You should place the <script> tag in the <head> section of a website. Don’t forget to check if your structured data mark up is done well in Google Structured data testing tool. Don’t be afraid. 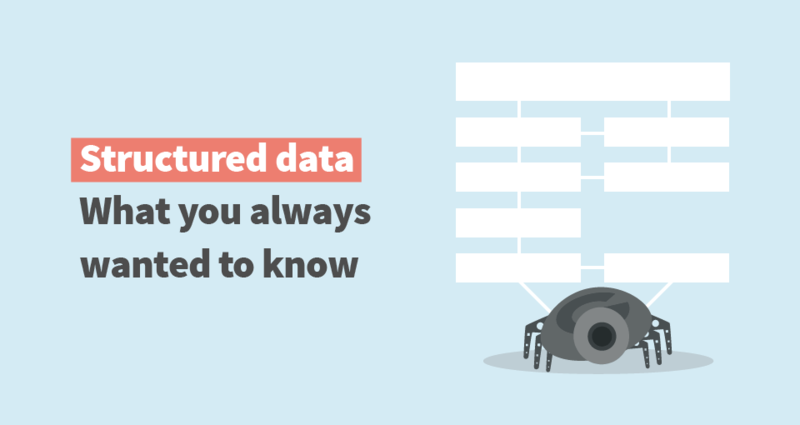 There’s nothing wrong you can do with structured data. It shouldn’t hurt your organic traffic, yet improve it when done right. Google likes well-structured data. It provides a lot of valuable information. Keep in mind: DON’T mark up what users can’t see on the page. Structured data is for people. Don’t forget to go through the technical structured data guidelines. The structured data is kind of like a black hat vs. white hat SEO but not so crucial. Just be ethical. You can put everything to structured data but you don’t have to. If you have a spammy structured markup in Search console, you can fix it and ask Google for reconsideration. You can choose from many possibilities to mark up the structured data. Think wisely, only a few are supported by Google. I have to admit there’s nothing bad about implementing a schema or property which isn’t supported. It’s always good to be prepared but consider whether it’s not really useless. In my opinion, there’s a huge potential in structured data. Information is what spins the world and Google wants to remain the first place to gather it. As of July 2017, there are 6 snippet enhancements in Google, 15 supported rich snippet types, and 3 rich snippets in beta. Update February 2018: Now there are 6 snippet enhancements in Google, 17 supported rich snippet types, and 3 rich snippets still in beta. Keep in mind that not all of them may be available for each country. For me, it was kind of frustrating and exciting at once (still more frustrating) to handle the structured data on mangools website. I wanted to mark up a “subscription” object. The question was: Is it BuyAction or is it SellAction? Or what is it? And should I care at all? It was hard as the definition on schema.org is not that clear. I’ve tested the code in Google structured data testing tool but I still don’t know if it’s “correct”. Time will show. Now, when we have started to migrate all of our tool domains under one mangools.com/serpchecker and so, I can see that the schema markup implementation was done right and we have nice rich snippet for SERPChecker in the SERP (as seen above). How about your experience with structured data and rich snippets? Are you successful? Don’t hesitate to share your thoughts!